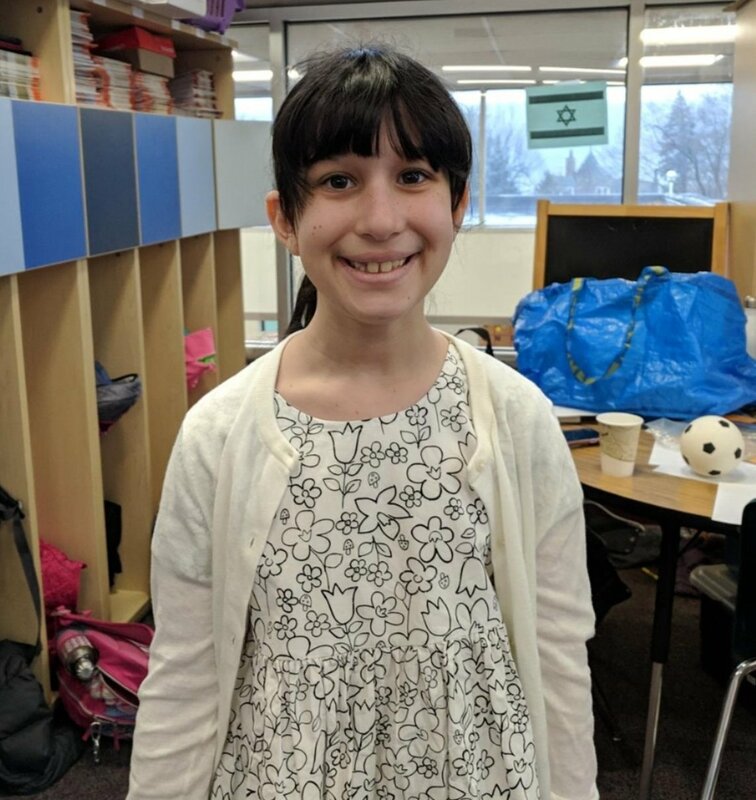 I would like to thank our Learning to Look volunteers, led by Yael Fraenkel and Cecily Marbach Oberstein, for completing the semester of classes for our fourth and fifth graders. We appreciate your partnership and dedication. Thank you to our fourth grade team for leading a fabulous and interactive American Heritage Fair this week, and thank you to all of the parents and special guests who were in attendance. Finally, thank you to all of our Grades 1-8 teachers for the hard work that went into preparing anecdotals over the past month, to give you a window into the academic and social growth of your children this year. Wishing you all a Shabbat Shalom and a great vacation to all of our students. Please remind your children to daven every day and to set aside at least a few minutes a day for Talmud Torah. Our #Flashback@50 project involves spending a few minutes each week with our students sharing an artifact, an interview, or some historical background about SAR, giving them a sense of the things that shaped this institution and the philosophy behind some of the things that we do. This week the topic was SAR Beyond Walls. Click here to read about it. Thank you to Sharon Marson and to the committee of teachers (many of them alumni!) who are working on this meaningful project. 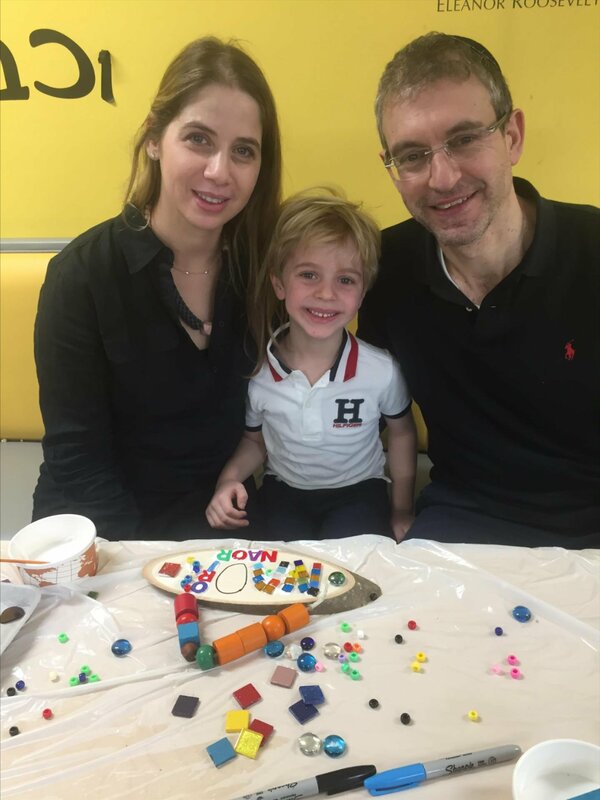 This week in Gan HaTziporim, the children delighted in celebrating Yom HaMishpacha (Family Day), on the same day as families throughout Israel were celebrating Yom HaMishpacha together. Yom HaMishpacha in Israel was originally Yom HaEm (Mothers Day) but was changed in recent years in recognition of the varied family structures and the changing roles of family members in Israeli society. The children of Gan HaTziporim were excited to welcome their families by singing English and Hebrew songs on the theme of family and giving special gifts created especially for the occasion: a Reggio-inspired family "tree" and an Israeli/American family cookbook, filled with recipes from the families of Gan HaTziporim and our buddy class, Gan Sa'ar, in Israel. 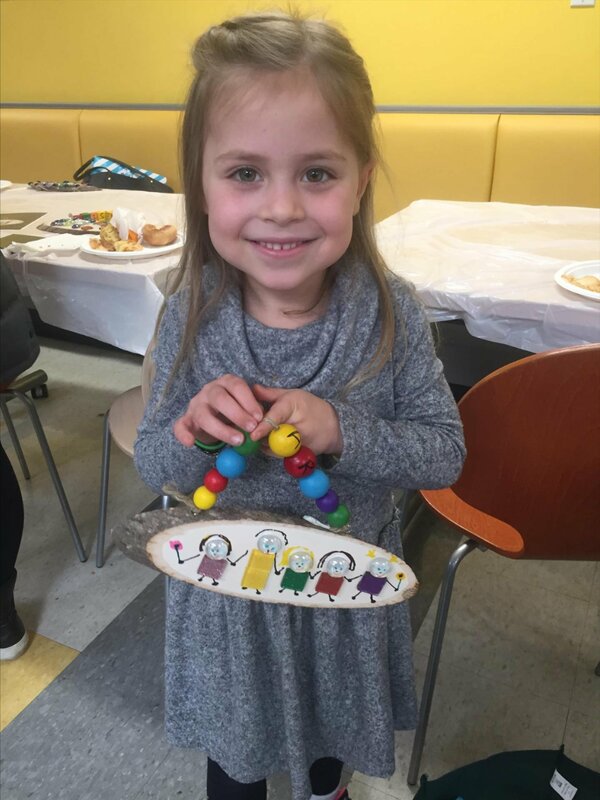 At the party, the families worked together to create adorable signs for their homes, enjoyed a yummy breakfast, and most importantly, relished quality time with one another! For the past few weeks, the children in Gan Ayalim have been reaching for the stars! 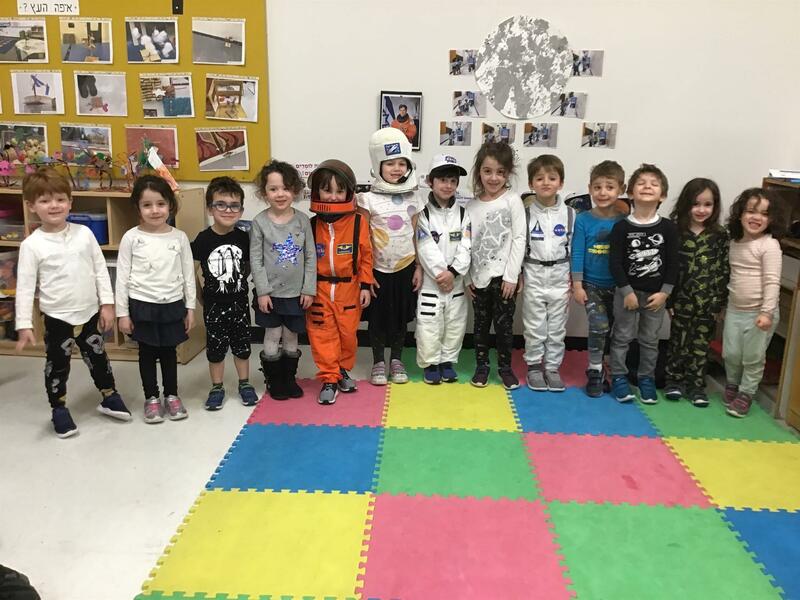 After voting on which topic they wanted to become experts in, the children in Gan Ayalim blasted off into learning all about space. Through books, videos, and pictures, the children discovered so many new and interesting facts about space, astronauts, planets, and our solar system. Want to know why Pluto isn't a planet anymore? Want to learn how astronauts eat in space, go to to the bathroom, and shower? Just ask the children in Gan Ayalim. Watching a video of Neil Armstrong landing on the moon was a highlight! Although we couldn't travel to space, we were able to experience life in space in various ways. We had to "build" using training gloves, paint while lying on our stomachs to feel gravity at work, and eat snack while it was velcroed to the table so it wouldn't float away! 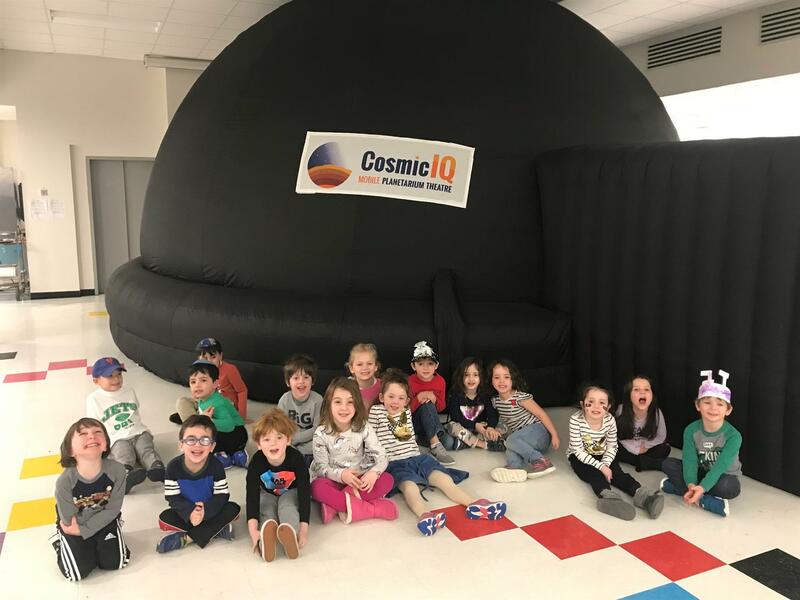 To cap off this exciting unit of study, a mobile planetarium came to visit SAR. 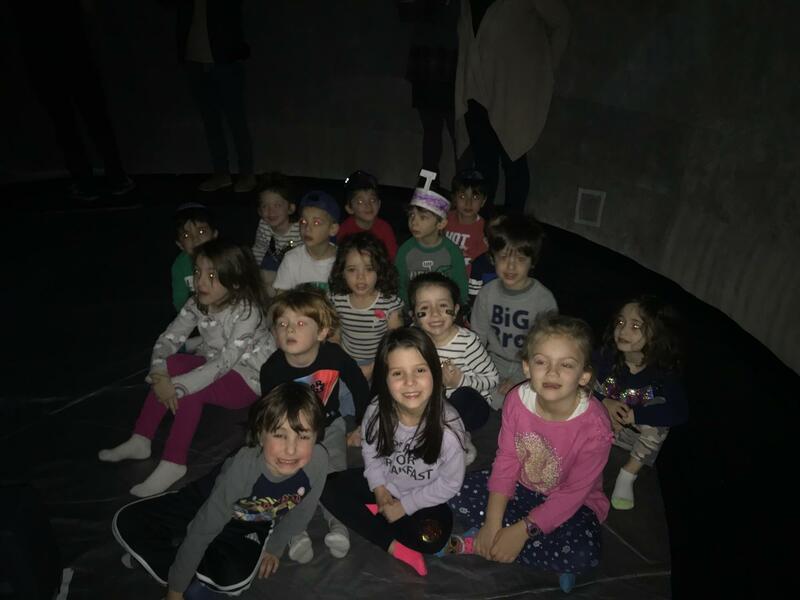 The children in Gan Ayalim, together with the other 4N classes, had the opportunity to go inside and experience a simulated flight to outer space. Some of their reactions were: "This is the best day of my life," "This is amazing," "They're talking to NASA," "That's Neil Armstrong! He's taking a step," "Buzz Aldrin is coming now, he putted the American flag." Clearly, this experience was OUT OF THIS WORLD! 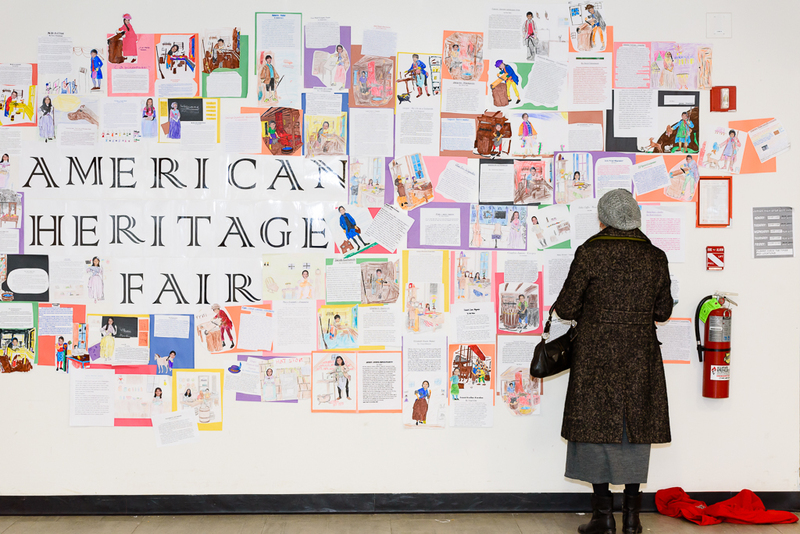 This week, fourth grade excitedly celebrated the American Heritage Fair. For weeks, the students have been learning about daily life in early America through research and hands-on exploration. 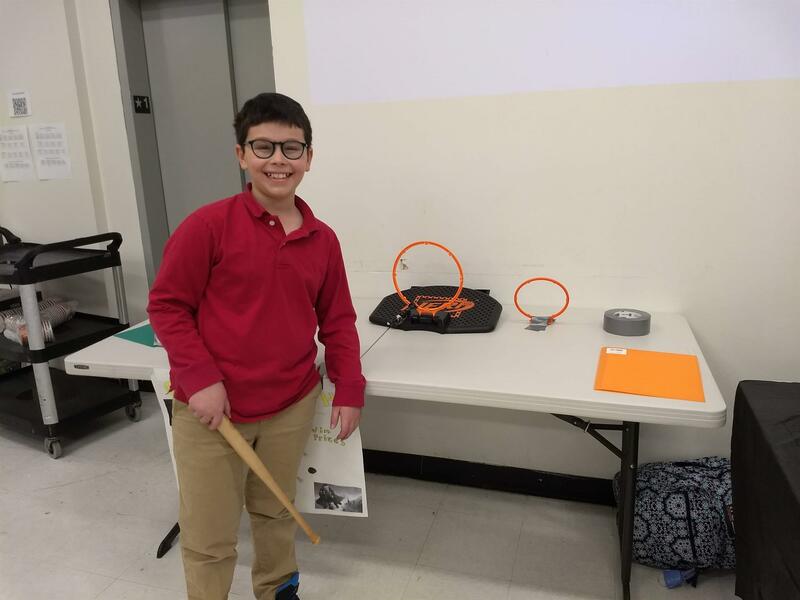 This investigation culminated in the creation of a colonial village in the gym; the village reflected the aspects of colonial life that the students learned about, including healthcare, childhood, food, and farming. 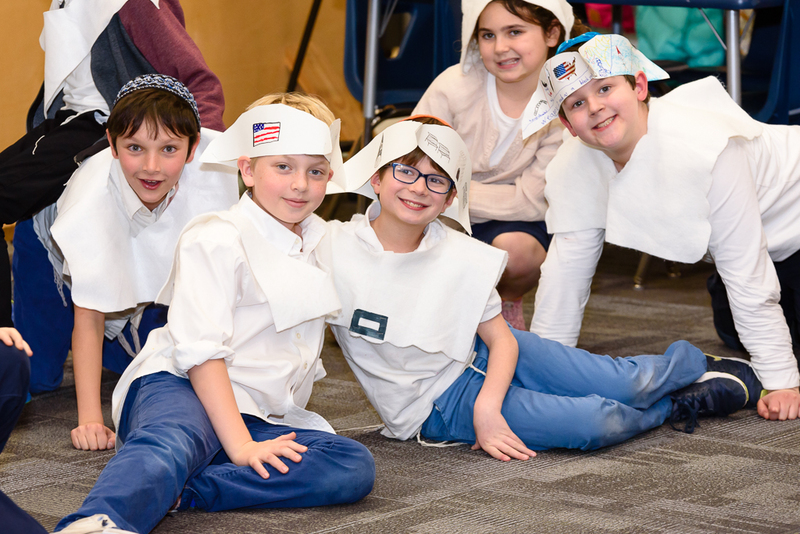 Dressed in bonnets and other colonial garb, students guided their special guests through the village, where they could participate in various hands-on experiences of colonial life. 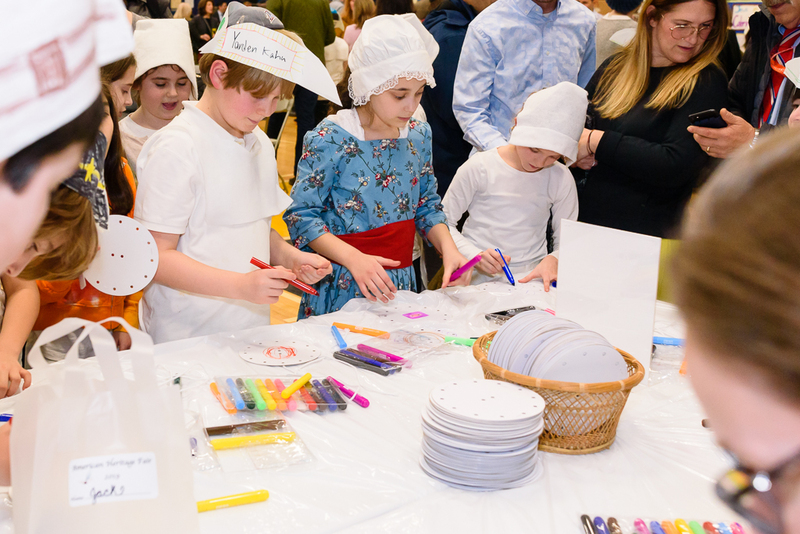 Fourth graders and their families made pickles, wrote with a quill and ink, wove baskets, and made butter, among other activities. As the students continue to engage in their first year of learning history, this day will surely leave an impression! 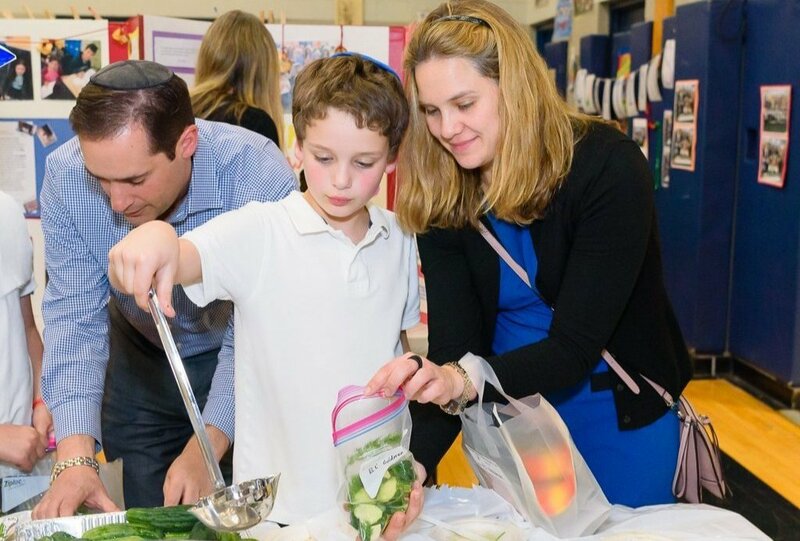 Todah Rabbah to the sponsors of American Heritage Day: Sarah Roer Bendheim & Etan Bendheim; Adina & Lawrence Burian; Erica & Ephraim Edelman; Heather & Steven Horowitz; Judy & Albert Milstein; Elana & Shami Minkove; Sheryl & Bruce Schainker; Rebecca & Yehuda Shmidman; Michelle & Robert Zellner. 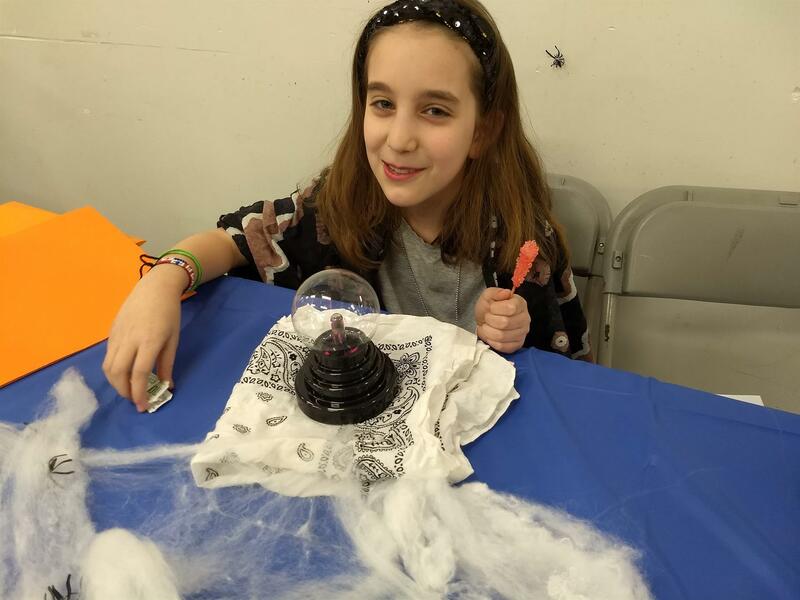 Finally, at a banquet catered by that well-known wizarding establishment, DougWarts of Teaneck, prizes were awarded for the best essays and spells. It is in these contests that the most interesting connections are made between what we love to read and the Judaism we love to live. What are some of the lessons learned? Let's hear what the co-first prize winners have to say. Rena Wachsman writes, "With true friends it doesn't matter if you argue over a possibly-jinxed new broomstick, or ignore each other for a week, because at the end of the day, they'll always have your back." Finally, this year, in honor of SAR's 50th anniversary, we added the topic "Hogwarts and SAR." Here is Keter Samet's take: "SAR is the Hogwarts for Modern Orthodox children. SAR and Hogwarts are both cool-weird places. For example, on the outside of the buildings, the architecture is really odd. Hogwarts looks like a lot of scary towers and SAR looks like a bunch of windows stacked on top of each other. But inside, cool stuff happens." 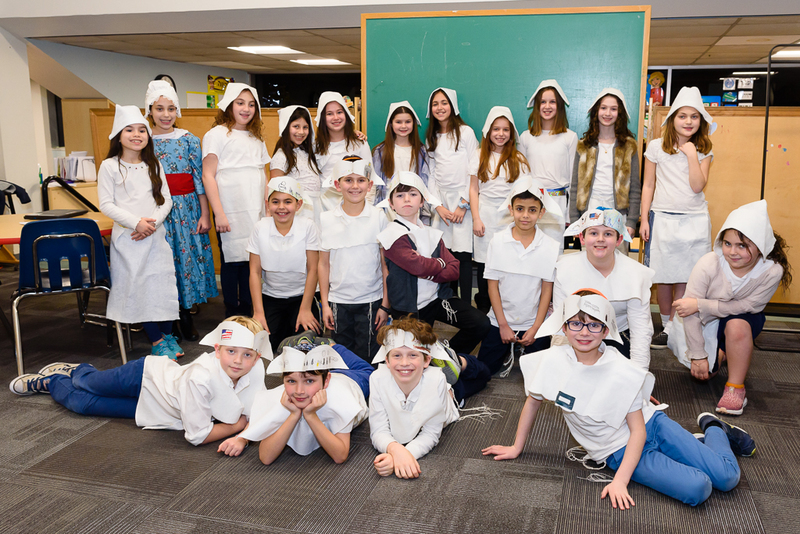 Special thanks to Morah Dina and Rabbi Rosenberg, Morah Yael, the bnot sherut, and all the Middle School and High School students who served as advisors! 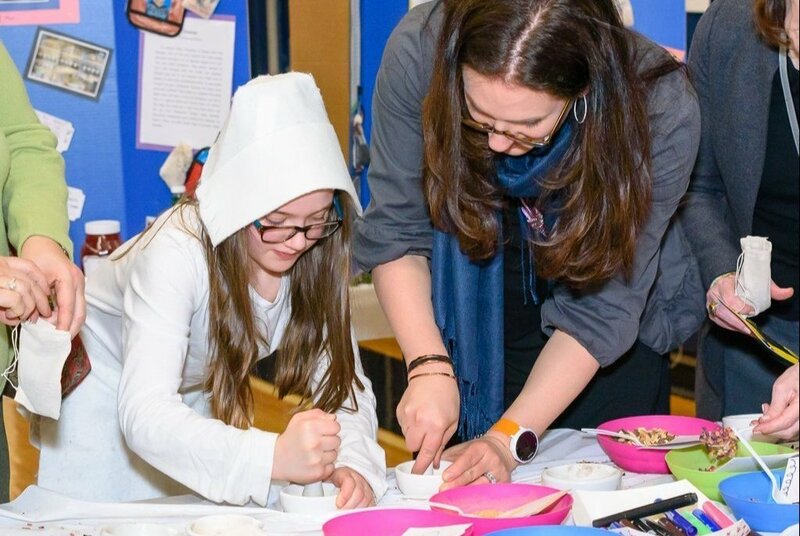 We can hardly wait for the second Harry Potter evening, for classes 5X and 5Z! 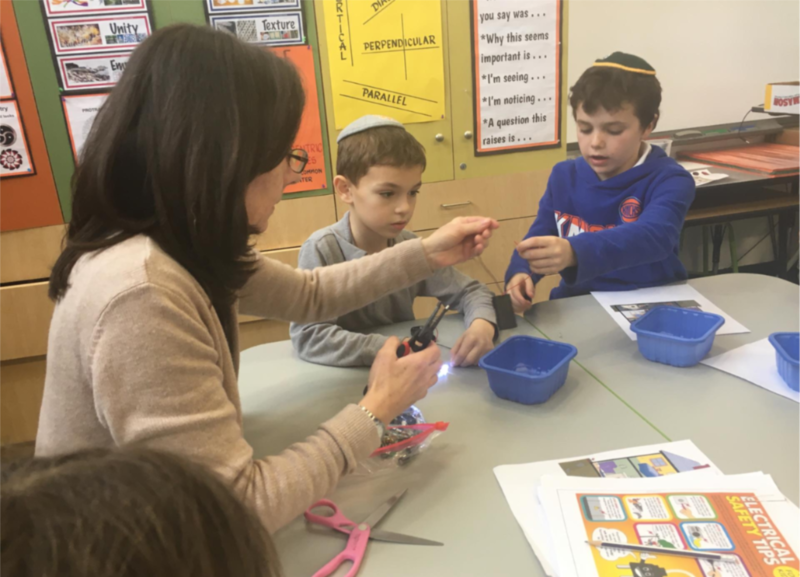 Second graders, as part of their study about the Henry Hudson River during their library rotation, had the opportunity to learn with our guest faculty member and engineer, Ayelet Feinberg. 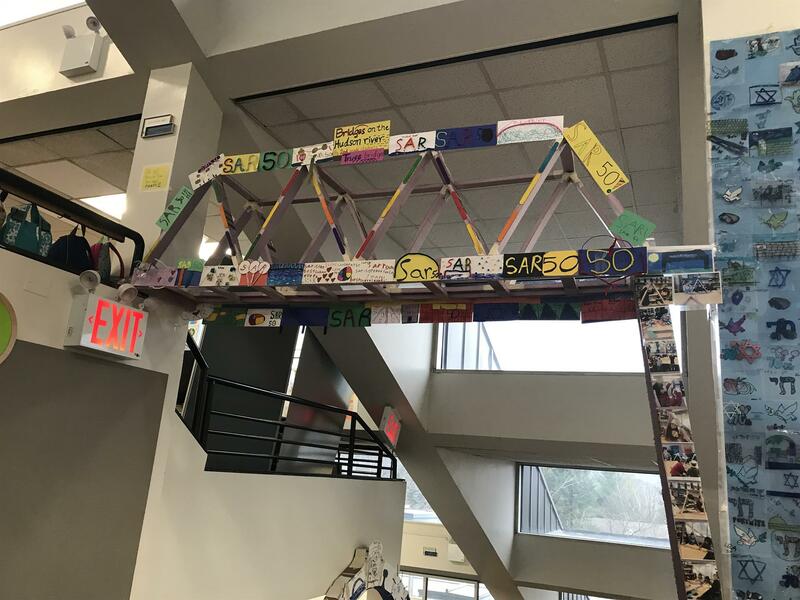 During their initial lesson with Morah Ayelet, students tested and investigated different types of bridges, learned how bridge design has improved over time and discussed how each type of bridge has its own advantages and disadvantages. During the second session, each group of students built one of three types of bridges, either arc, truss, or suspension. They enjoyed acting like engineers as they planned, measured, calculated and then built and decorated their structure. 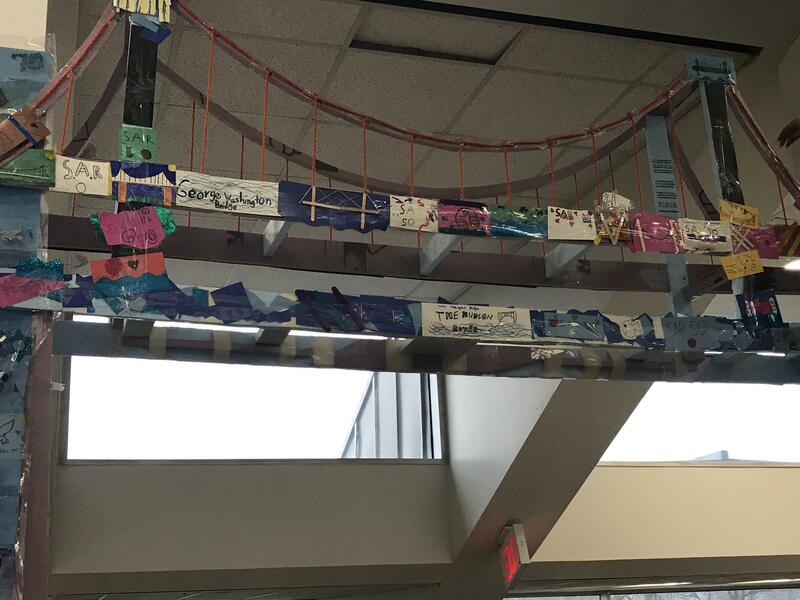 Each beautiful bridge now adorns various locations in the Lower School for all to see. Next time you visit SAR, please take a moment to view the students' work. This week was the final week of Learning to Look for fourth and fifth grades. The past five weeks were jam packed with European artists like Goya, Renoir, Bonheur, Constable, and Turner, as well as Modernists like Picasso, Matisse, Van Gogh, Chagall, Miro, and Pollack. Ask your children to tell you about the new Drawing Intensive that they participated in at the end of every class. 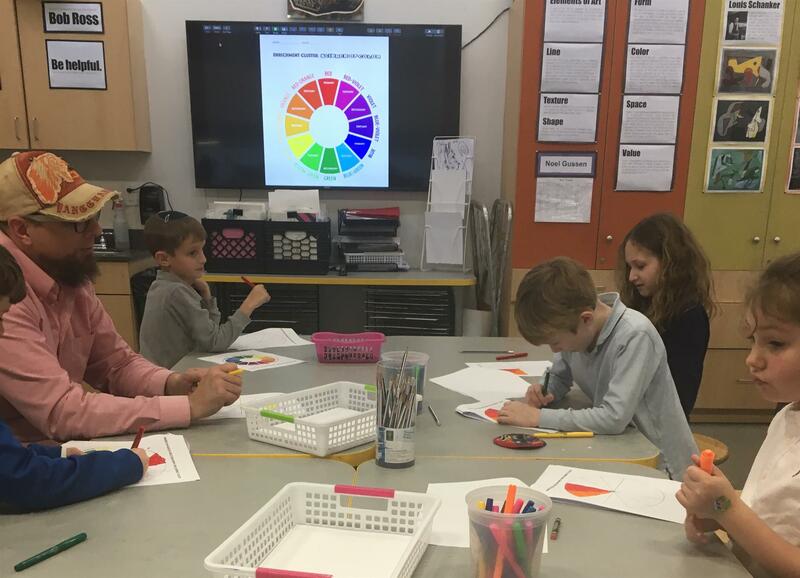 Have them show you how they divided their papers and added to their works week by week implementing what they were taught in the videos created by their wonderful art teachers Morah Adiella and Mr. Noel. Special thanks to Sharon Marson for her devotion to this program and her ongoing commitment to the arts at our school. 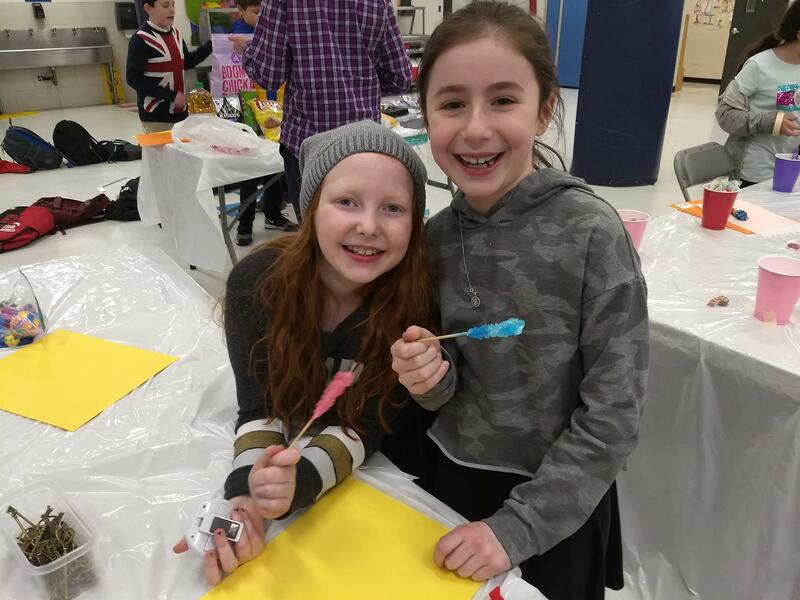 In addition, this program could not be possible without the incredible volunteers who devote hours to bringing art history and art education to our children. Thank you to the outstanding Learning to Look volunteers: Lilach Bar, Sarah Finegold, Jodi Friedman, Jill Goldfein, Regina Haberman, Tali Herman, Rena Karol, Alyssa Klapper, Sara Kranz, Marcie Leff, Jessica Loeser, Kayla Mandelbaum, Rebecca Michelman, Sara Zitter Millstein, Pearl Sussman, and Michelle Zellner. 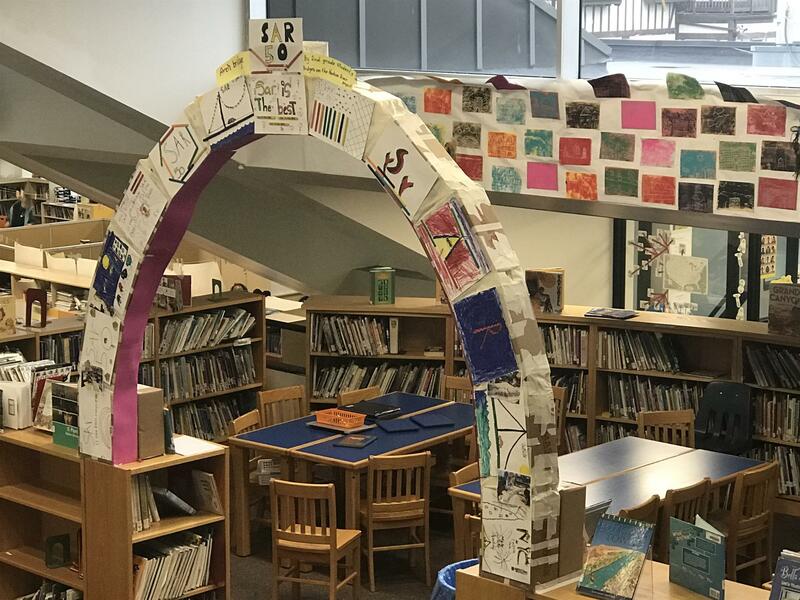 Many thanks to the Learning to Look program organizers, Yael Fraenkel and Cecily Marbach Oberstein; to art teachers Renata Cohen, Ayelet Feinberg, Adiella Shem Tov, and Noel Gussen; and to our art historian, Rikki Kaplan, who makes art history come alive. Parents, please consider volunteering in this valuable program next year! 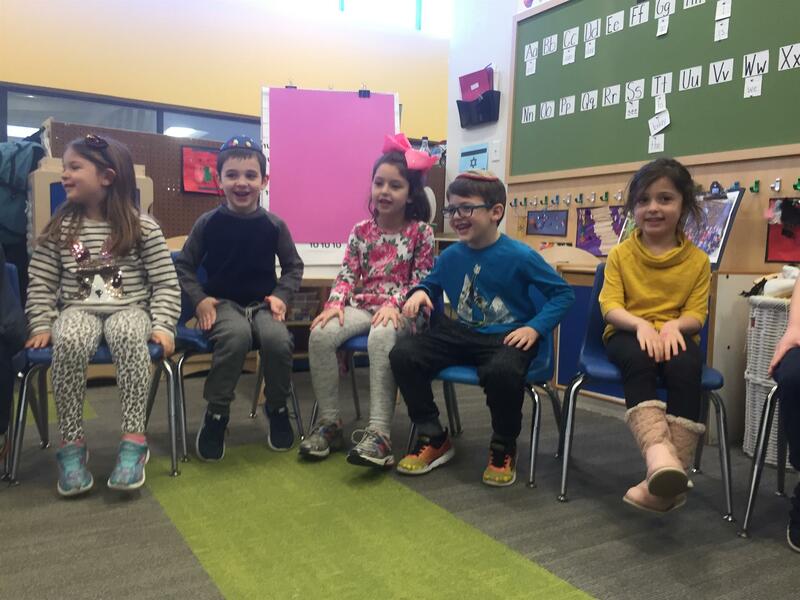 On Tuesday, Rabbi Moskowitz's Tanach class, in connection with learning the laws of tzedakah in Sefer Devarim, went to Queens to learn about tzedakah and to visit the non-profit organization Tomchei Shabbos. 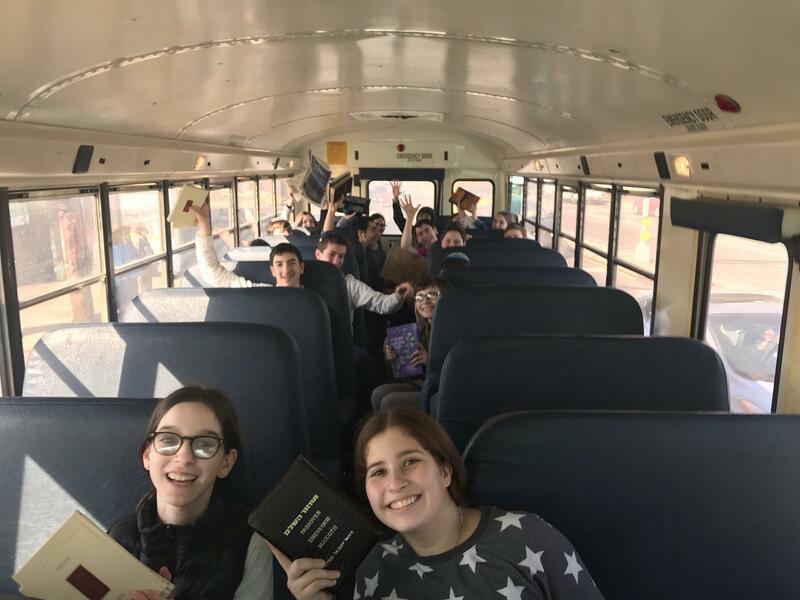 After a stop at Benny's Pizza for a quick lunch, the group took a short bus ride to the Utopia Jewish Center to visit Rabbi Moskowitz's sefer gemach. Rabbi Moskowitz told the students about the shul's history and about how the gemach was founded. The gemach is a place where anybody can buy used sefarim (in good condition) for one to five dollars. The students had the opportunity to browse the numerous sefarim and were able to buy some sefarim too. All of the money raised at the gemach, which amounts to about $1,000 per month, goes to Tomchei Shabbos. 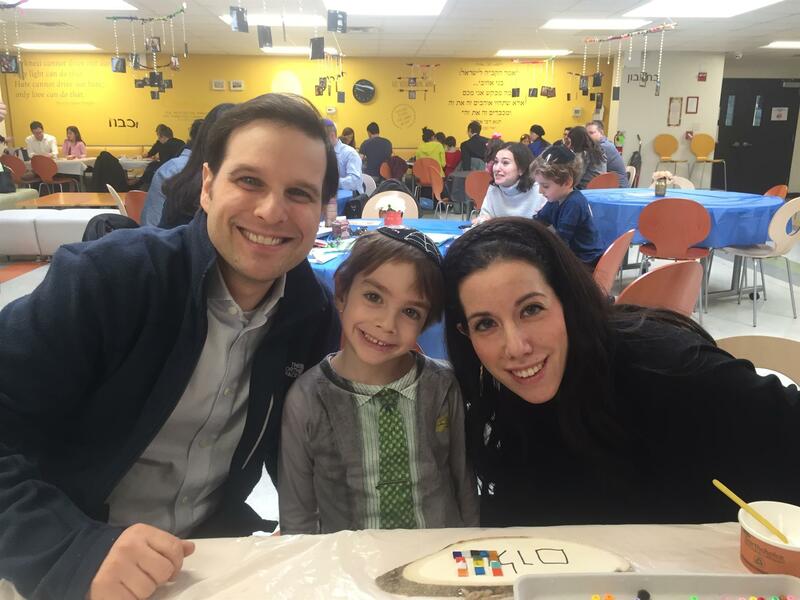 At Tomchei Shabbos, the students learned that the organization is fully based on volunteer work. 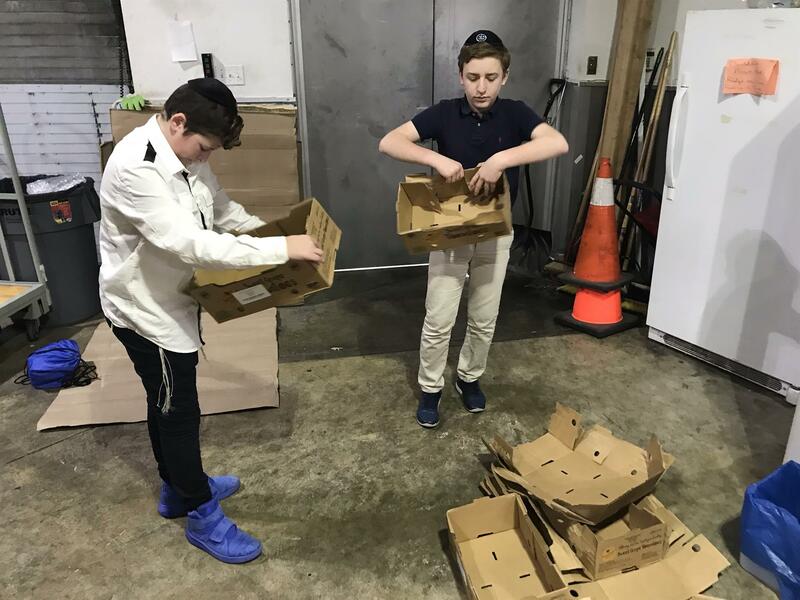 They spent an hour at a warehouse distributing food into boxes to be delivered later in the week, and learned about the history of Tomchei Shabbos and how it functions. Each week volunteers pack and deliver boxes of food to those in need in various cities. 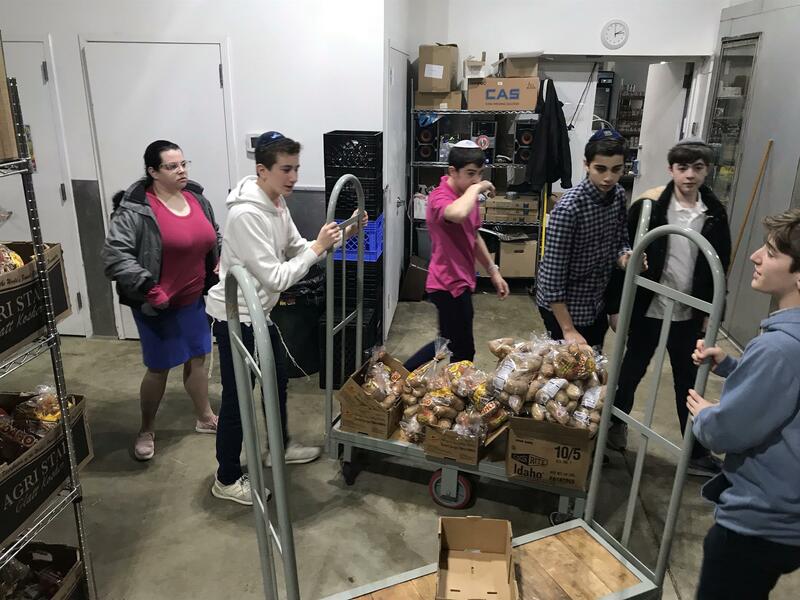 The trip highlighted for the students how hard people work to help others and inspired them to find more places for tzedakah and chesed in their lives. By the time the students left the building, there were several who wanted to help volunteer on their own time and deliver food. Following this trip, Rabbi Moskowitz's class will be selling bags of ready-to-make cholent and donating the money to Tomchei Shabbos. 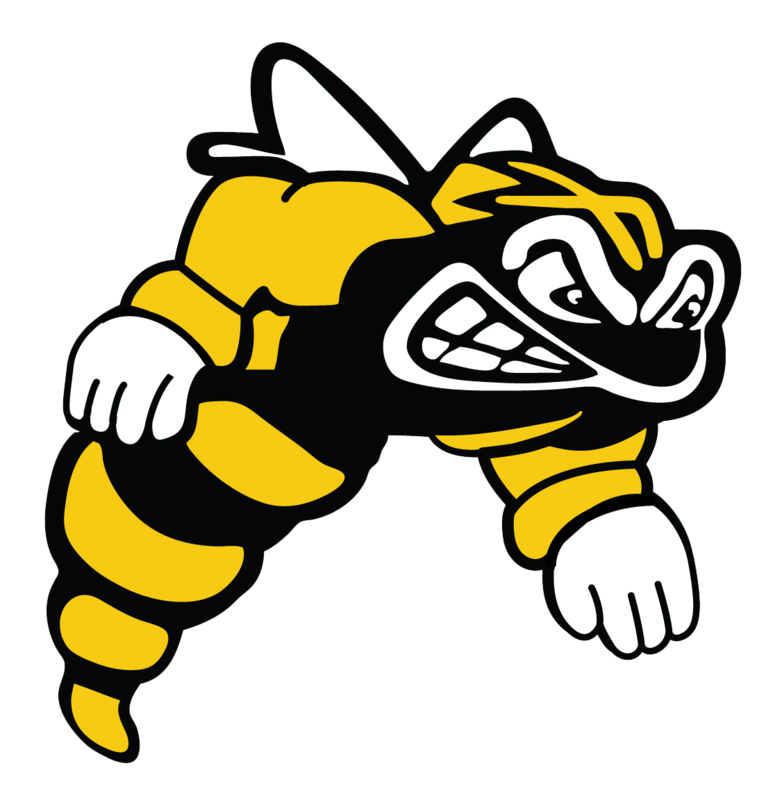 Please support our students' mission to help this amazing and inspiring organization! Click here to buy. 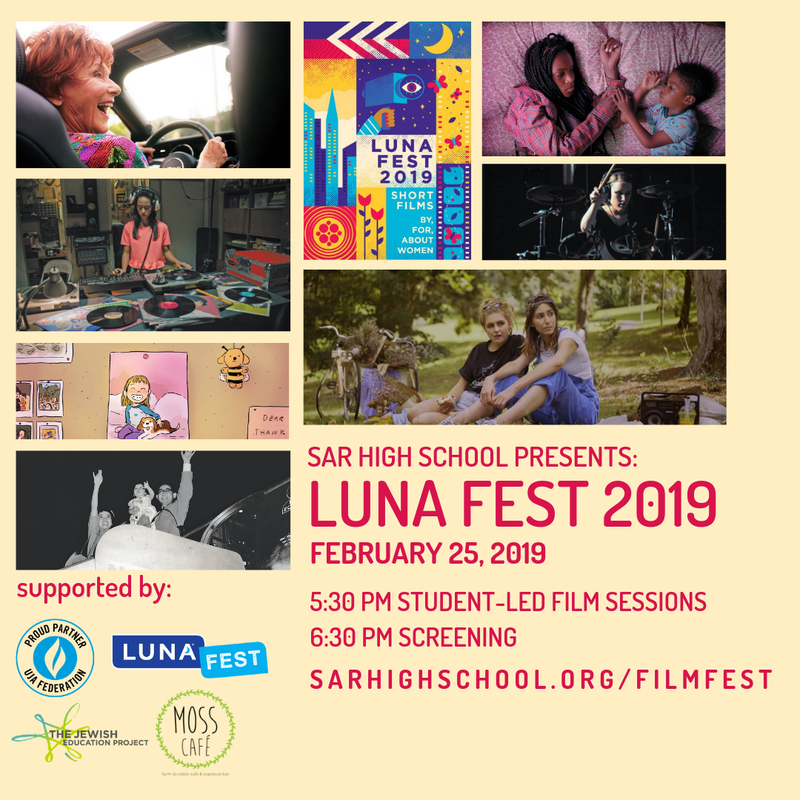 On the evening of Monday, February 25, SAR High School is hosting the second annual Film Fest--in partnership with the nationally recognized LUNAFEST®--attended by hundreds of community members last year. This program would be of great interest to Middle School students interested in film and the arts. grant from The Jewish Education Project is helping to partially fund the festival. Using film shorts, students will engage the audience about current issues in the Jewish and modern world. LUNAFEST® films highlight women as leaders in society, illustrated through short films by women filmmakers. The films range from animation to fictional drama, and cover topics such as women's health, body image, relationships, cultural diversity, and breaking barriers. The post-screening discussion will examine connections between the films. 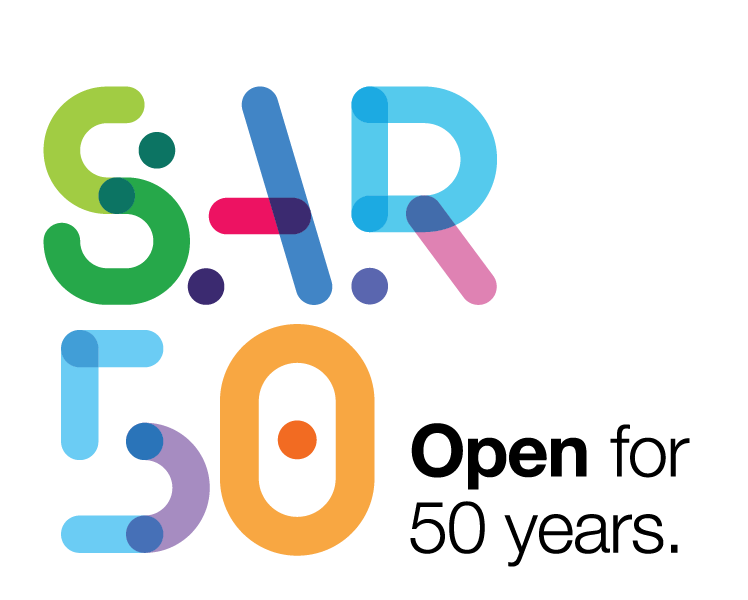 The SAR Film Fest is open to the public. To register and/or sponsor, please click here. Our second grade "STEAM" Enrichment Cluster Program started this week and is off to a great start! Our nine-week program affords each student an opportunity to participate in a STEAM-based curricular unit in his/her area of interest. 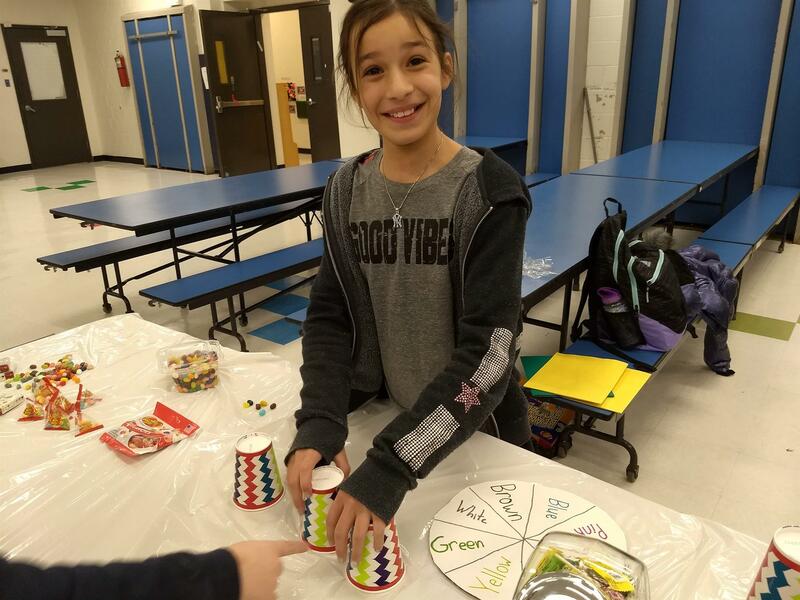 This broad enrichment initiative is founded on the belief that every student has the potential to demonstrate gifted behavior and reflects our deep commitment to foster the growth of each individual child. Our ultimate goal is to help children develop their unique talents and passion and to understand how they can share their gifts with the world. In our changing world, the education of all of our students, gifted in their own unique ways, must allow space for creativity and scholarship so that students remain curious and engaged. This provides the opportunity to take risks and think independently, both of which build self-efficacy when children are allowed to struggle a little and find solutions and answers on their own. Course offerings are quite varied this semester and incorporate different aspects of science, technology, engineering, art-design, and math. Whether they are learning the math and science behind tints and shades as they create masterpieces with Noel Gussen, discovering the workings of the human body with Dr. Jennifer Fenster, exploring various famous mathematical patterns such as Fibonacci, tessellations, and fractals in nature, analyzing various elements of design and construction with Rena Karol or becoming Makers in "Makerspace" with Rivka Heisler, our facilitators aim to further develop students' critical thinking skills, perseverance, collaboration and creativity. As we walked through the building during the Enrichment Cluster session, the excitement and student engagement was palpable. Students were busy exploring, participating, discovering, creating, and observing, each in his/her own way. In the words of Joseph S. Renzulli, "Every child should have the chance to be exceptional without exception." For a complete list of course offerings, please click here. Two teams of Middle School students have submitted projects this week to the national ExploraVision STEM Competition. The ExploraVision competition engages the next generation in real-world problem solving and challenges students to envision new technology 20 years in the future through collaborative brainstorming and research of current science and technology. Each group of students chose their own topic to research and then designed what this technology could look like twenty years from now. 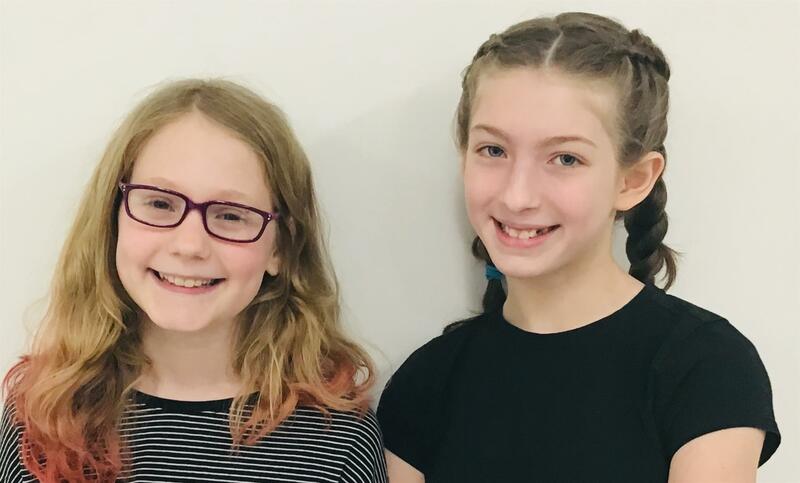 Our sixth grade participants, Gertie Angel and Ella Vanderhoek, studied blood clots and suggested a way to use nanotechnology to detect and get rid of blood clots from the body. Thank you to faculty advisors, Ayelet Feinberg and Cynthia Kollander, for their help. 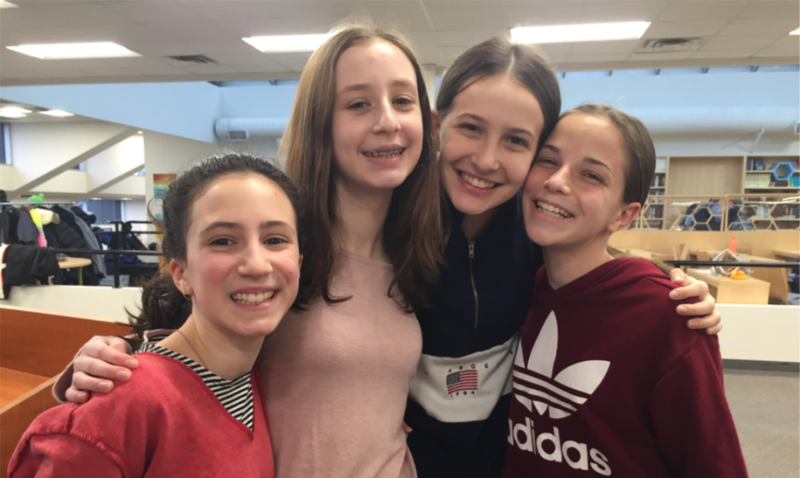 Our seventh grade group, Abigail Chill, Frances Geller, Sonia Stern, and Denni Schwartz, researched sleep cycles and EEGs and designed a sleep mask which uses a tracking system to help people fall asleep and stay asleep more easily. Thank you to their coach, Dr. Yaki Stern, and faculty advisor, Dr. Chaya Fine. We are proud of our students' achievements and look forward to watching their future STEM endeavors! Click here to view the English version of Daf Yomi: Parshat Terumah. 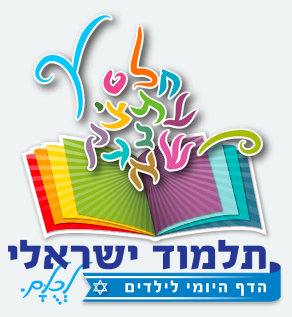 Click here to view the Hebrew version of Daf Yomi: Parshat Terumah. This week's parsha is Parshat Terumah. In Parshat Terumah Bnei Yisrael are commanded to build the Mishkan. One of the materials listed in the pasuk that Bnei Yisrael used to build the Mishkan is "עצי שטים", wood. The question Rashi asks is where did they get the wood from in the desert? Trees don't grow in the desert?! Rashi answers that way before Bnei Yisrael were even slaves in Mitzrayim, Yaakov Avinu planted trees in Egypt because he knew Bnei Yisrael were going to build a Mishkan and need wood for the building. Yaakov commanded Bnei Yisrael to take the wood with them when they left Egypt to use for building the Mishkan. Shabbat Shalom! The Westchester/Riverdale Communities proudly announce the opening of I-Shine, an after school program designed to provide a warm and caring environment for elementary school children affected by the illness or death or of a close family member. 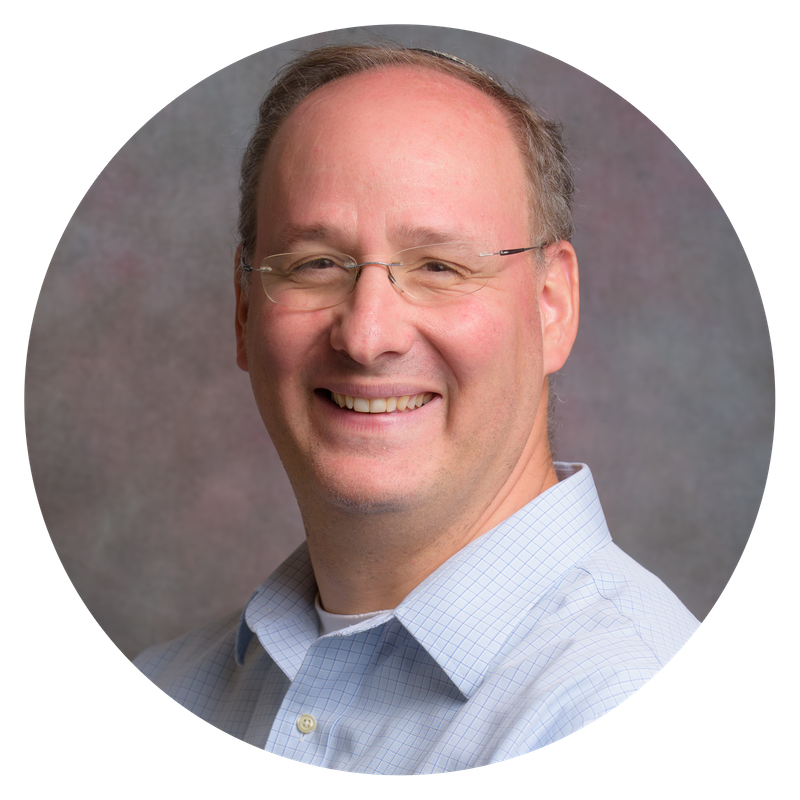 The community is invited to a shiur l'zecher nishmat Robert A. Finkelstein on Monday, February 25 at 7:45 PM at Westchester Day School. Rabbi Yossi Weiser, Judaic Studies Teacher, Ramaz Upper School, will deliver the shiur. Dessert reception to follow. Click here for the flyer. For further information, please email Yvette Finkelstein: yvettefinkelstein@yahoo.com. Torat Reva Yerushalayim will once again be preparing Mishloach Manot/Matanot L'Evyonim packages which will be hand delivered to the neglected elderly of Jerusalem. The packages will include healthy snacks, gifts and Purim treats. The packages that Torat Reva Yerushalayim delivered over the past twelve years to Jerusalem's elderly were the ONLY gift packages that these individuals received. A donation of $18 covers one package, $180 covers packages for an entire floor of a nursing home. Click here to donate, or mail a check made payable to Torat Reva Yerushalayim to: 110 Chestnut Ridge Road, Suite 228, Montvale, NJ 07645. 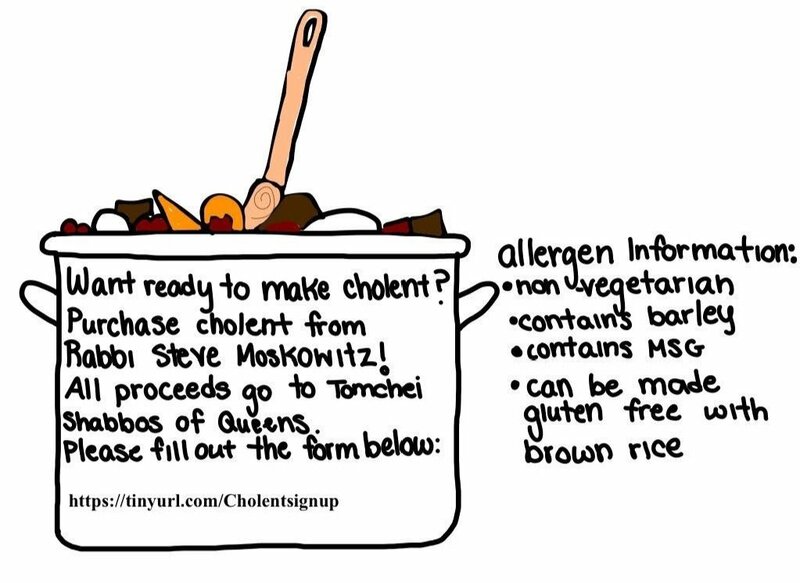 Rabbi Moskowitz's eighth grade class will be selling bags of ready-to-make cholent and donating the money to Tomchei Shabbos. Please support our students' mission to help this amazing and inspiring organization! Click here to buy. Support groups create a safe and confidential community, giving participants the opportunity to develop informal mutual support and social relationships. This support group educates participants about dementia and helps develop methods and skills to solve problems. If you have been diagnosed with dementia or have concerns related to your memory, join us at the Riverdale YM-YWHA Senior Center for our 8 week series of support, and 4 weeks of education. Support group meets Fridays beginning on March 22, from 10:00-11:30 AM. Click here to view the dates and to register. Door-to-door accessible van transportation to and from The YM-YWHA Senior Center. Lunch provided daily.